We’ve partnered with 3 running festivals and a virtual event too! Being a Sunshine Coast based business, we love to align ourselves with other like-minded and local small businesses. Sunshine Coast based business, Atlas Multisports have just announced their Inaugural Marathon Event in Cairns! 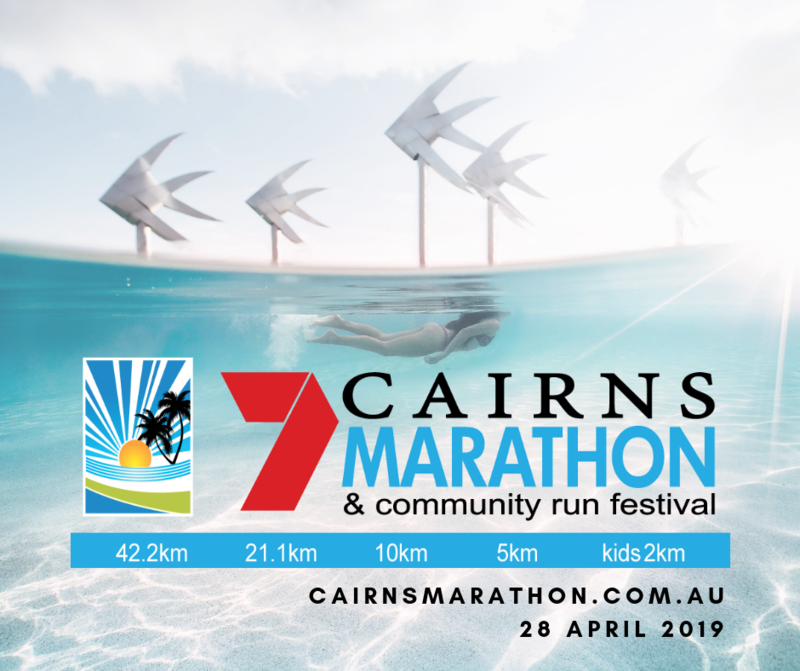 Along with Cairns, Atlas Multisports have taken over the organisation of the McDonald’s Brisbane Marathon Festival, and of course, the popular 7 Sunshine Coast Marathon Festival completes the running season. Our friends from Run Down Under, are another small business, based on the Gold Coast, that we love to work alongside. Run Down Under is a virtual platform that inspires and motives you, on a very individual journey. Along with discounts, that these four events are offering, we want to give you a $20 Skirt Sports Gift Voucher, for every ‘event’ you sign up to! Sign up to 2 events, and you’ll receive $40 to spend. Sign up to all 4 events and we’ll give you an $80 Skirt Sports Gift Voucher (that’s like a new skirt for free!). 1. Sign up using the links on our page. 2. Enter the promotional code. This is important! Not only do you receive a discount, but the organiser knows that you have been referred by us! It’s a double discount! 3. The organiser advises us that you have used the special promotional code, that we have provided you. Within 7 days from signing up, we will send, via email, a $20 Gift Voucher to use on skirtsports.com.au. The gift voucher will be valid until Dec 31, 2019 and no minimum spend is necessary. 4. Please refer to the full terms and conditions at the bottom of page. Event distances include the Marathon, Half Marathon, 10km, 5km and the 2km. Each road race will take in the best that Cairns has to offer. The event hub will become a hive of activity hosting running clubs, corporate teams and sponsors. On-course and post-race entertainment in Fogarty Park are an integral element of the participant’s overall event experience. The 2km event allows parents with prams and wheelchair entrants to take part and enjoy the festival atmosphere. Race start times are scheduled to allow for parents to run the longer distances and then return in time to run with the kids and enjoy all the free fun in the family entertainment precinct. With a distance to suit every ability and age group, this community-focused event caters to all those wanting to take part, including families and those with both physical and intellectual disabilities. Ronald McDonald House North Australia is the major beneficiary of this event helping to fund the Palm Cove family retreat. Register before the 25th of April to avoid late entry fees! Queensland’s Capital City Marathon! One of the most historic events on the Queensland running calendar, the Brisbane Marathon Festival has iconic resonance with the 1982 Commonwealth Games where the famed Robert de Castella was first across the line in a celebrated victory. This magnificent day embarked a running frenzy in Brisbane where the first official Brisbane Marathon was open to the public in 1992. Celebrating our 28 years in 2019, the McDonald’s Brisbane Marathon is one of the oldest and most friendly events on the Australian calendar attracting thousands of participants from over 35 countries annually. Often labelled the “boutique” marathon of choice, in part due to the VIP treatment all participants receive. The event celebrates fun fitness and the test of ultimate human endurance – the Marathon. 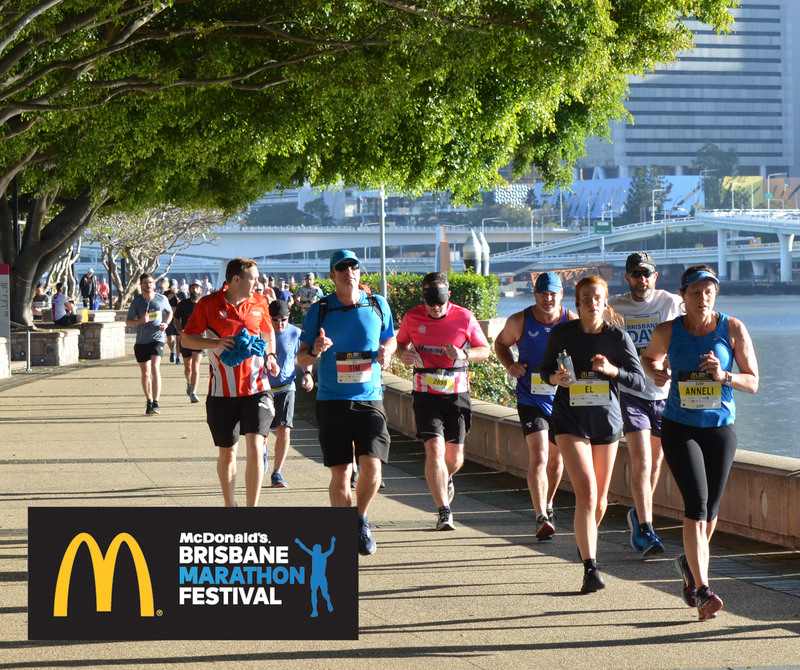 The McDonald’s Brisbane Marathon Festival is a world class AIMS certified event attracting elite, recreational as well as encouraging the local community to get out and get active and enjoy visiting Brisbane city. 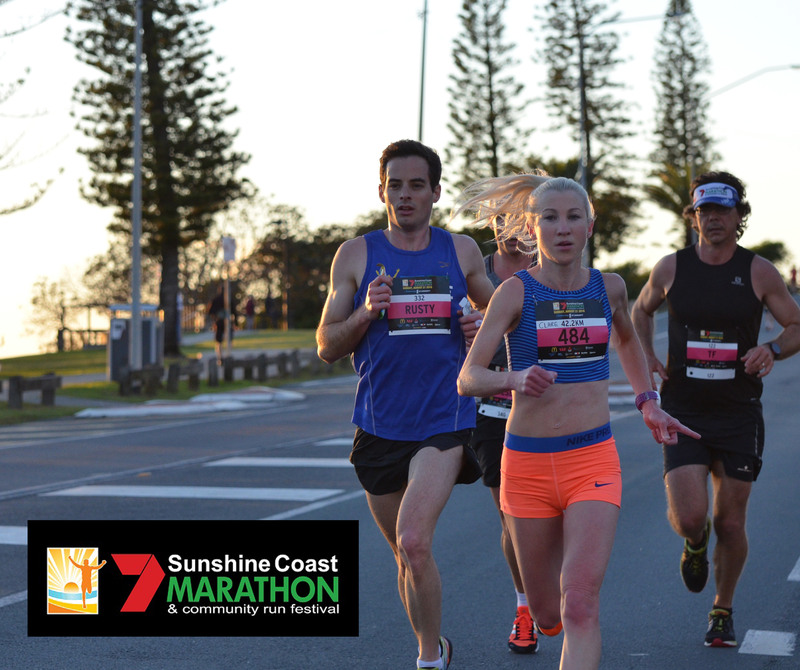 A member of the Association of International Marathons & Road Races (AIMS), the 7 Sunshine Coast Marathon and Community Running Festival is one of the most-loved running festivals in Australia. Since its inception the 7 Sunshine Coast Marathon has raised over $1.5 million for charity and community groups. Located on the stunning Sunshine Coast, Queensland an hour’s drive north of Brisbane this not-for-profit event has been timed to make the most of the ideal Queensland winter running conditions. Blue skies, low humidity and mild temperatures combined with a flat course always enable fast times. The course record currently stands at 2:18:30 set by Ethiopian, Samuel Woldemanuel in 2015. Event distances include the Marathon, Half Marathon, 10km, 5km and the 2km. Each road race follows the stunning coastline of Alexandra Headlands with white sandy beaches and spectacular vantage points alongside the ocean. The Half Marathon is a one loop course with Marathon entrants completing a multi loop course (1 x 21km + 2 x 10.5km’s) making the most of the on-course entertainment and crowds of spectators before a red carpet ‘hero’ finish. With a distance to suit every ability and age group, this community-focused, world-class athletic event caters to all those wanting to take part, including families and those with both physical and intellectual disabilities. Run Down Under – all year round!! How would you like the challenge of running around Australia…….virtually?? 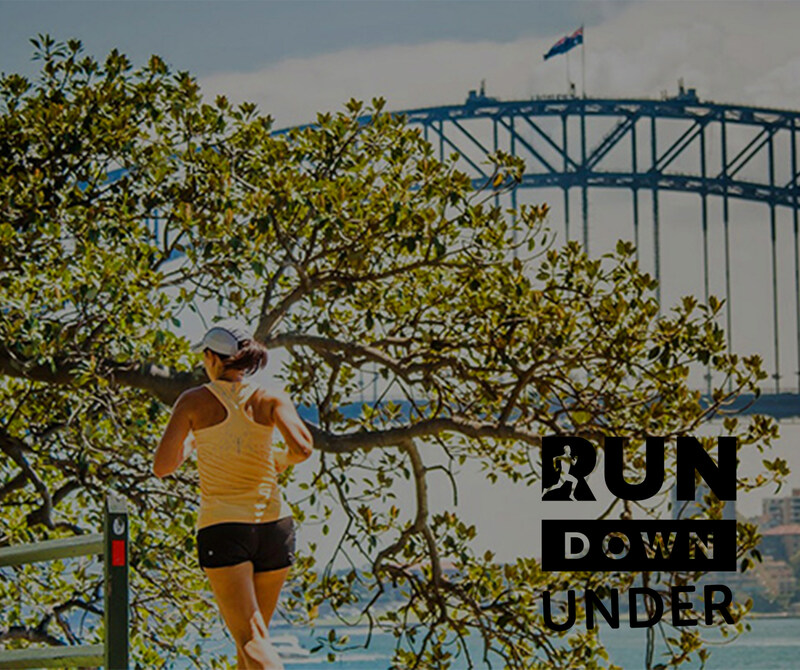 RUN DOWN UNDER, is all about YOUR journey, as you join an event that will keep you motivated, inspired and engaged for many years. Set your own goals each week, month and year, as you follow our interactive map around Australia. Join thousands of like minded runners and walkers, as you Run Down Under. You membership lasts for 12 months and begins on the day you join, it doesn’t matter what time of year! Run or Walk where YOU want, when YOU want, as often as you like and as fast as you wish… We will then track you on YOUR own virtual journey around this magical country. Challenge yourself, set goals and compete with your club or friends from all over the world as you embark on a 14,080km journey. Use the interactive map to see where you are in live time. Find your friends and club mates to see their location… And check on all your stats and personal best efforts as you progress. …don’t forget to use the coupon code to get your discount and Skirt Sports gift voucher! 1. $20 Skirt Sports Gift Voucher is valid on sign ups made during the allocated timeframe, using the specific promotional code, aged 16 yrs and over. 2. Upon issue, Gift Vouchers are allocated to same email address used during sign up. Upon redemption, only Gift Vouchers allocated to that email address will be allowed to be used in conjunction. 3. Only one Gift Voucher will be allocated, per email address, per event.